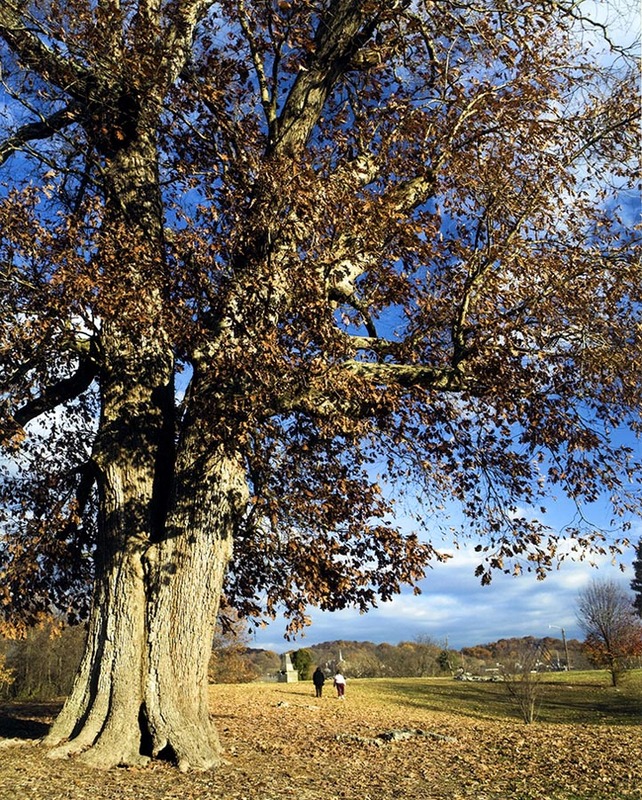 This magnificent white oak stood in the DeFriece City Park in Bristol and was alive in 1814 when James King bought the property from Evan Shelby, a major during the Revolutionary War. The Reverend James King developed the land as a plantation and left many tree groves as shady areas for picnics for his slaves and his family through the years. Even long after all his slaves were freed and the Reverend King had died in 1867, the family continued to use the groves for their picnics. During the Civil War a company of Federal soldiers camped under the King Oak for several days and lived from the produce, including livestock, of the plantation. Many of the original trees were felled during the 1870s to make room for the development of Bristol. The lumber was used to build many of the old homes in the town, including King College. Some of the wood was also used for Simon’s Carriage and Wagon Works, which also stood nearby. However, the land around the King Oak was spared and donated to the city to be used as a park. The tree lost part of its trunk in a storm in early 2008, exposing a large internal cavity. Vandals set the tree on fire in late 2008 and soon afterward the tree was evaluated to be a hazard to the public. The King Oak was reluctantly removed by the city later that year.